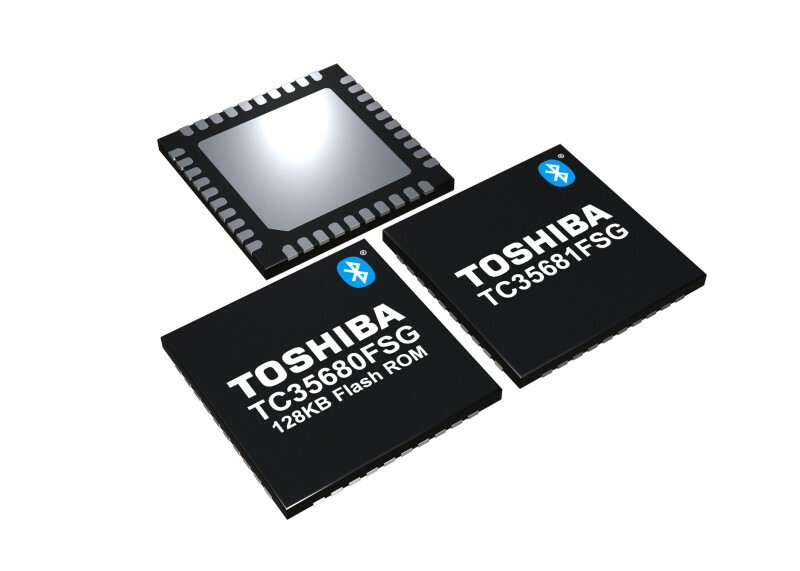 Toshiba Electronic Devices & Storage has added two new devices to its lineup of ICs that are compliant with the Bluetooth low energy standard. The new TC35680FSG (featuring built-in flash memory) and TC35681FSG are well-suited to applications requiring long-range communication, including beacon tags, IoT devices and industrial equipment. Sample shipments will begin later this month. The new communication ICs support the full spectrum of data rates required for the high-speed features—2M PHY and Coded PHY (500 kbps and 125 kbps)—found in the Bluetooth 5.0 standard. The new devices also deliver an industry-leading receiver sensitivity level of -105 dBm (at125k bps ) and a built-in high efficiency power amplifier in the transmission block that provides up to +8 dBm transmission power. Bluetooth technology continues to evolve to meet wireless connectivity needs, and recent enhancements to the standard have been designed to increase Bluetooth’s functionality with the IoT. By adding Bluetooth 5.0-compliant ICs to its extensive lineup, Toshiba helps companies integrate Bluetooth low energy products into IoT devices and addresses the growing demand for high-throughput, long-range communications. Based on an ARM Cortex-M0 processor, the new ICs incorporate a 256 KB Mask ROM to support the Bluetooth baseband process, and 144 KB of RAM for processing Bluetooth baseband, stack and data. Toshiba’s TC35680FSG and TC35681FSG also feature 18-port GPIOs as interfaces, which can be set to 2 channels each for SPIs, I2C, and UART. This allows for the structuring of systems that connect to various peripheral devices. These GPIOs can be set for a wakeup function, 4-channel PWM, 5-channel AD converter interfaces, an external amplifier control interface for long-range communication and more. The TC35680FSG includes 128 KB of flash memory for storing user programs and various data in stand-alone operations, making it well-suited to a wide range of applications and removing the need for external non-volatile memory. This also lowers the part count, which reduces both the cost and mounting area. Coming to your inbox tomorrow: January has a 5th Tuesday, so we’ve added a bonus topic to our four-week newsletter rotation. We’re bringing you a Bonus newsletter: Displays and Graphics. Display technology is where the user interacts with today’s modern embedded electronic devices This newsletter content examines the latest technology and product developments in displays along with the graphics ICs that drive those displays. Plus: We’ve added Drawings for Free Stuff to our weekly newsletters. Make sure you’ve subscribed to the newsletter so you can participate. You’ll get your Displays and Graphics newsletter issue tomorrow. Analog & Power. 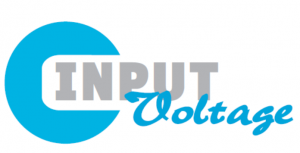 (2/6) This newsletter content zeros in on the latest developments in analog and power technologies including DC-DC converters, AD-DC converters, power supplies, op amps, batteries and more. Microcontroller Watch. (2/13) This newsletter keeps you up-to-date on latest microcontroller news. In this section, we examine the microcontrollers along with their associated tools and support products. IoT Technology Focus. (2/20) Covers what’s happening with Internet-of-Things (IoT) technology–-from devices to gateway networks to cloud architectures. This newsletter tackles news and trends about the products and technologies needed to build IoT implementations and devices. Congatec and AMD have teamed together to provide extended life cycle support for the AMD Geode, one of the world’s longest-serving x86 processors. The result is that AMD Geode processor boards from Congatec will have planned availability until the end of 2021. 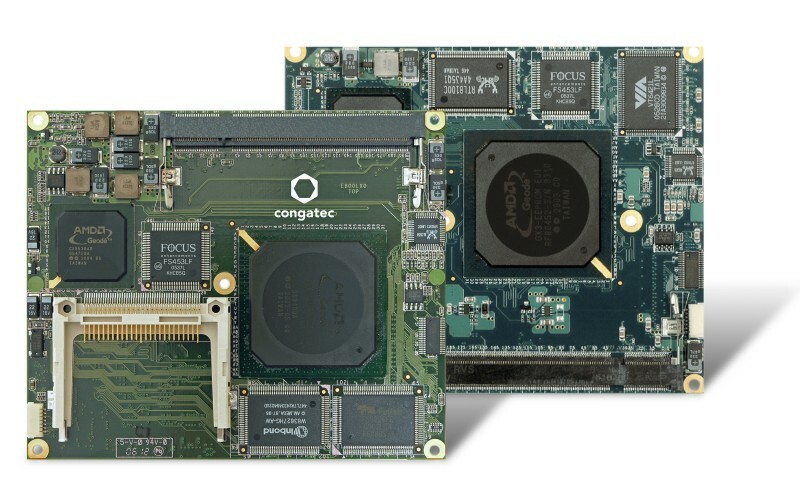 According to Congatec, embedded system developers will benefit from massive life cycle and return on investment improvements for their AMD Geode based product lines. Supply until 2021 means 16 years long-term availability for the Geode LX, which was introduced by AMD in 2005. This is unique to the embedded x86 processor markets, where processors in general are available for 7 years. In order to enable this extension, AMD has qualified a non-halogenated substrate with virtually no changes to processor form, fit or function so that all AMD qualification criteria will be met. Congatec modules with the new Geode processor samples are available now under identical product order numbers. 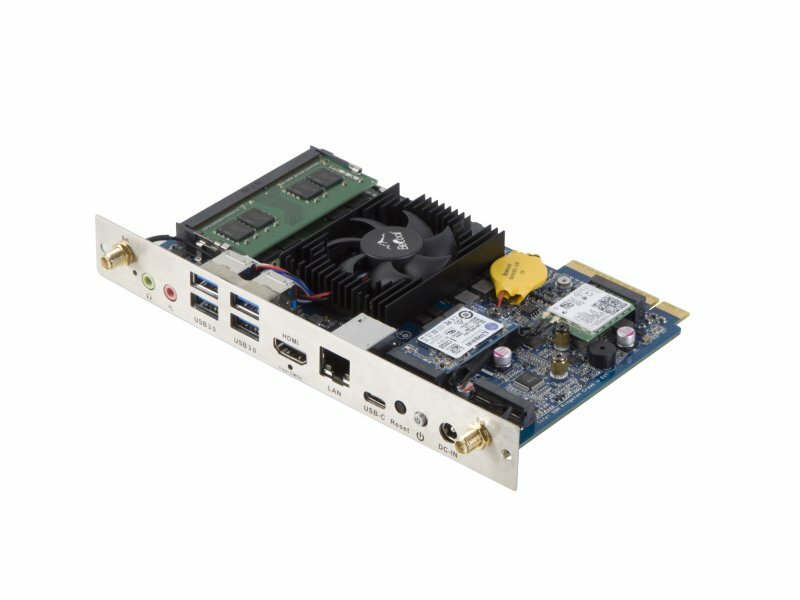 American Portwell Technology has announced the launch of WUX-3455, a small form factor (SFF) embedded system board featuring the Intel Celeron processor J3455, formerly code-named Apollo Lake. The Intel Celeron processor J3455 integrates the low power Intel Gen9 graphics engine up to 18 execution units, enabling enhanced 3D graphics performance and greater speed for 4K encode and decode operations. 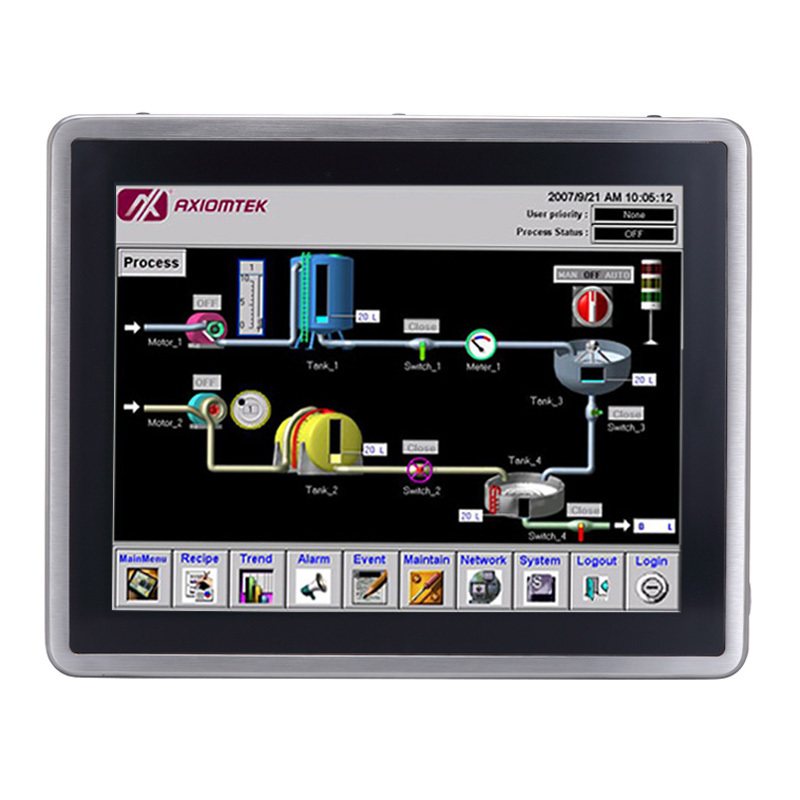 The WUX-3455 is well suited as a solution supporting visual communications and real-time computing applications in medical, digital surveillance, industrial automation, office automation, retail and more. 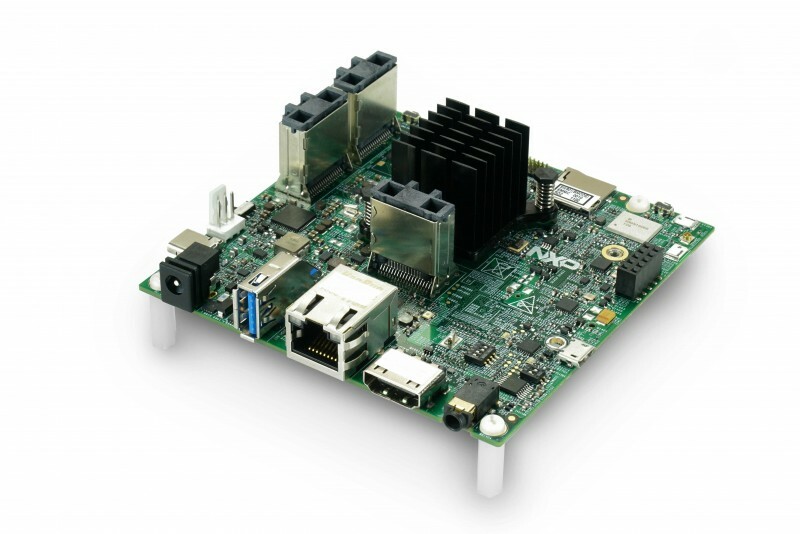 Portwell’s WUX-3455 embedded system board, designed with a compact footprint (101.6 mm x 101.6 mm; 4˝ x 4˝), also features DDR3L SO-DIMM up to 8 GB supporting 1866/1600 MT/s; 6x USB ports; one DisplayPort (DP) and one HDMI with resolution up to 4096 x 2160; one COM port for RS-232 on rear I/O (RJ45 connector); and multiple storage interfaces with 1x SATA III port, 1x microSD 3.0 socket and support for onboard eMMC 5.0 up to 64G. Moreover, it integrates the M.2 interface, which provides wireless connectivity including Wi-Fi and Bluetooth, allowing ideal communication and connectivity for IoT edge devices and designs. The WUX-3455 operates with thermal design power (TDP) under 6W/10W for fanless applications. It also supports a wide voltage of power input from 12 V to 19 V for rugged applications. 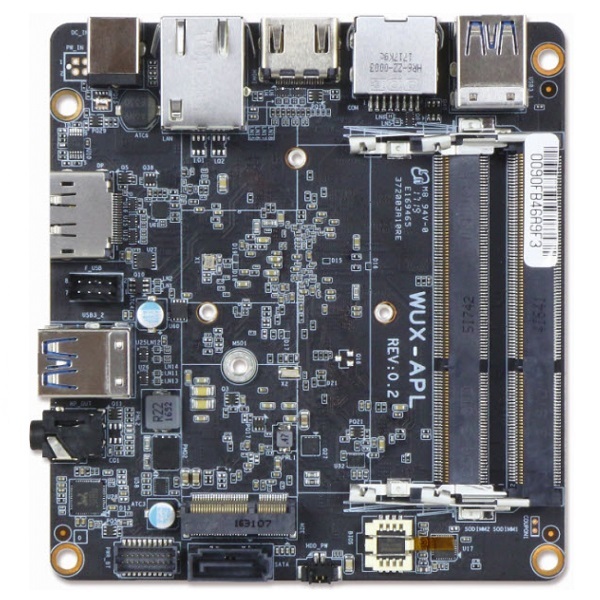 With its ingenious design and superior performance—up to quad-core processing power via Intel® Celeron processor J3455 and high capability—the Portwell WUX-3455 embedded system board is equipped with the ability to execute an extensive array of applications from digital signage in public spaces through manufacturing robots and machinery transforming industrial automation, to video analytics-based appliances enhancing intelligent digital security and surveillance, to end-to-end solutions for IoT use cases. DesignCon Explore the Expo at the Industry’s Biggest Event! 5,000 Professionals. One Expo Floor. A DesignCon expo pass gives you access to 175 top-level suppliers and countless opportunities to connect and learn — all for free! Don’t miss your chance to join 5,000 chip, board, and systems designers at the nation’s largest industry event. You’ll find daily keynotes, exclusive networking events, and rare insights to save you time and money on your next project. Get all of the above PLUS the 14-track conference, hands-on training sessions, in-depth tutorials, and much more. Use promo code KCK when you register to save 20% on All-Access Conference pass! To address the convergence of immersive sensory experiences fueled by voice, video and audio demands, NXP Semiconductors has launched the i.MX 8M family of applications processors. The processors combine robust media capabilities on one chip. Voice commands are expected to dominate 50% of all searches in the next two years, increasingly thinner TVs are driving the popularity of sound bars for home automation, and consumers are embracing the IoT for creating more convenient richer sensory-driven experiences. 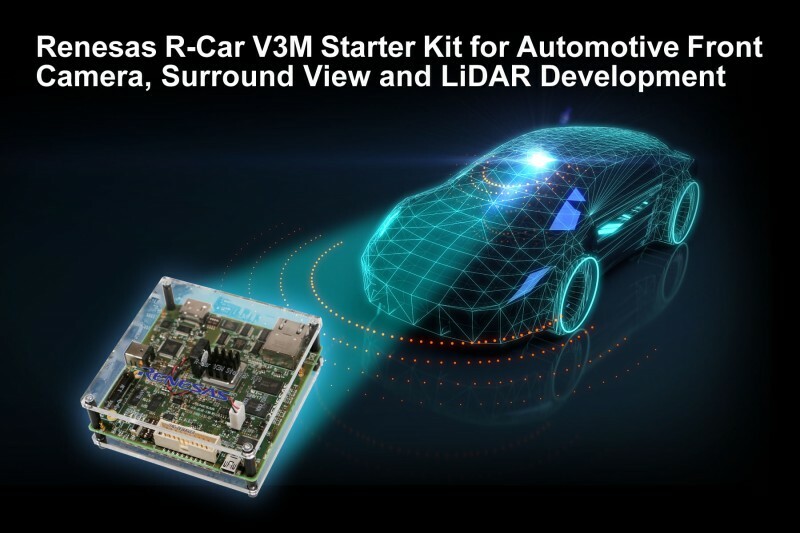 The NXP i.MX 8M processors address designers’ requirements for one platform that combines A/V and machine learning to create connected products that can be controlled via voice command. The chips provide the process technology and edge computing needs to manage and reduce the command and question response time of smart connected devices. The i.MX 8MF is suited for a wide range of residential IoT and device control applications including everything.from smart TVs, television subscription services, sound bars and other smart speakers, to streaming media players and DVR/PVR. The processor family is also ideal for managing lighting, thermostats, door locks, home security, smart sprinklers, other systems and devices for a more intuitive and responsive home environment. 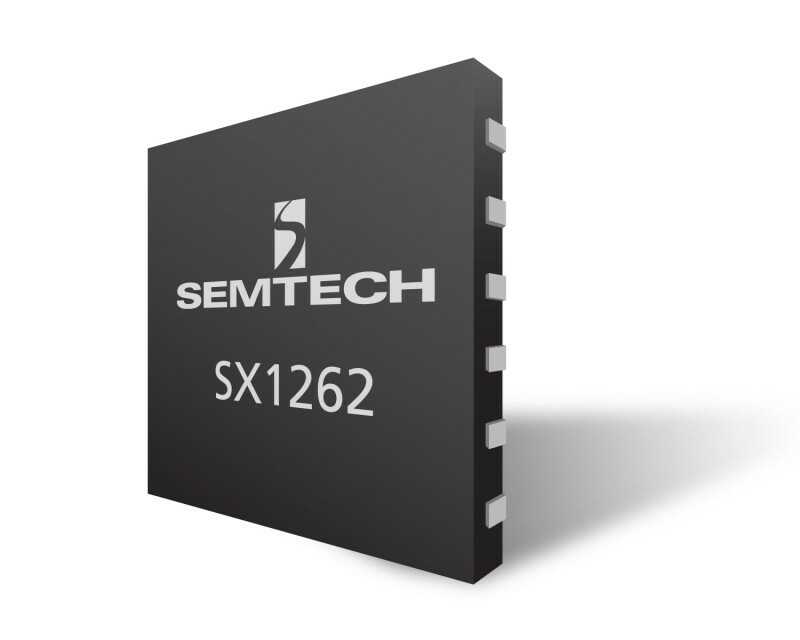 Semtech has announced its next generation LoRa devices and wireless radio frequency (RF) technology (LoRa Technology) chipsets enabling innovative LPWAN use cases for consumers with its advanced technology. Addressing the need for cost-effective and reliable sensor-to-cloud connectivity in any type of RF environment, the new features and capabilities will significantly improve the performance and capability of IoT sensor applications that demand ultra-low power, small form factor and long range wireless connectivity with a shortened product development cycle. The next generation LoRa radios extends Semtech’s industry leading link budget by 20% with a 50% reduction in receiver current (4.5 mA) and a high power +22 dBm option. This extends battery life of LoRa-based sensors up to 30%, which reduces the frequency of battery replacement. The extended connectivity range, with the ability to reach deep indoor and outdoor sensor locations, will create new markets as different types of verticals integrate LoRa Technology in their IoT applications including healthcare and pharmaceuticals, media and advertising, logistics/shipping and asset tracking. The new platform has a command interface that simplifies radio configuration and shortens the development cycle, needing only 10 lines of code to transmit or receive a packet, which will allow users to focus on applications. The small footprint, 45% less than the current generation, is highly configurable to meet different application requirements utilizing the global LoRaWAN open standard. The chipsets also supports FSK modulation to allow compatibility with legacy protocols that are migrating to the LoRaWAN open protocol for all the performance benefits LoRa Technology provides. Three new devices, SX1262 (+22dBm), SX1261 (+15dBm) and SX1268 (+22dBm, China frequency bands) are currently sampling to lead customers and partners and will be available in full production in late Q1 2018. Development kits for various regions and associated software will also be available at that time. Displays and Graphics. 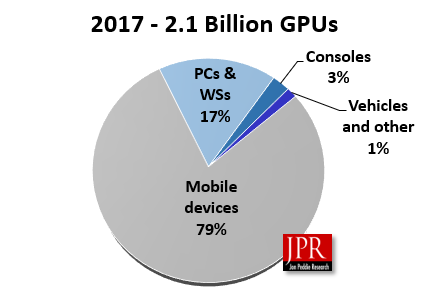 (1/30) Display technology is where the user interacts with today’s modern embedded electronic devices This newsletter content examines the latest technology and product developments in displays along with the graphics ICs that drive those displays. BBC, GameBoy mini-games take top prize. Jasio, Lucio D., Programming 32-bit Microcontrollers in C: Exploring the PIC32. Burlington, MA: Elsevier Inc.
 Land, Bruce R., NTSC video generation on PIC32. “Digital Tri-axis Gyroscope/ Tri-axis Accelerometer Specifications”, Kionix, 2017. D. Caulley, N. Nehoran, S. Zhao, “Self Balancing Robot”, Fall 2016. E.W. Weisstein, “Quaternion.” MathWorld–A Wolfram Web Resource. P. Jan, “Reading an IMU without Kalman: The Complementary Filter”. pieter-jan.com. M. Looney, “A Simple Calibration for MEMS Gyroscopes”, Analog Devices. July 2010. Do you have at least one test case specifying the wrong number of values (two rather than three integers, for example)? Do you have a test case in which one side has a negative value? Do you have a test case in which one side has a negative value? This is a good resource for finding out about threats but also recommended practices for safe design. Murata Manufacturing has introduced the LQW32FT series for automotive power over coax (PoC) circuits. 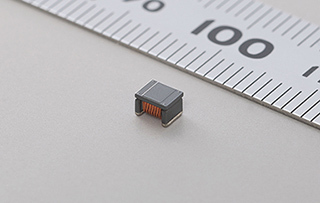 This inductor provides high impedance in a wide band, with inductance of 47µH in the 1210-inch size (3.2 mm x 2.5mm). Mass production was already started in November 2017. PoC is increasingly used with SerDes equipment in automotive applications in order to reduce weight, with a single coax cable transferring power and image data for an on-board camera. In former PoC implementations, large and small impedance several inductors were needed to handle the broadband signal at the circuit processor and to maintain high impedance in a wide band to separate the signal and power. The LQW32FT series allows a single inductor to replace the multiple components that were formerly necessary. This supports efforts to save space and reduce the overall size of a system, and to lower total DC resistance. This component also provides a 125℃ maximum for the usage environment temperature, making it suitable for automotive circuits. The LQW32FT series is expected to be further expanded to support the high-speed signal transmissions needed by the market. A new microcontroller that combines specified radiation performance with low-cost development associated with Commercial Off-The-Shelf (COTS) devices is now available from Microchip Technology. 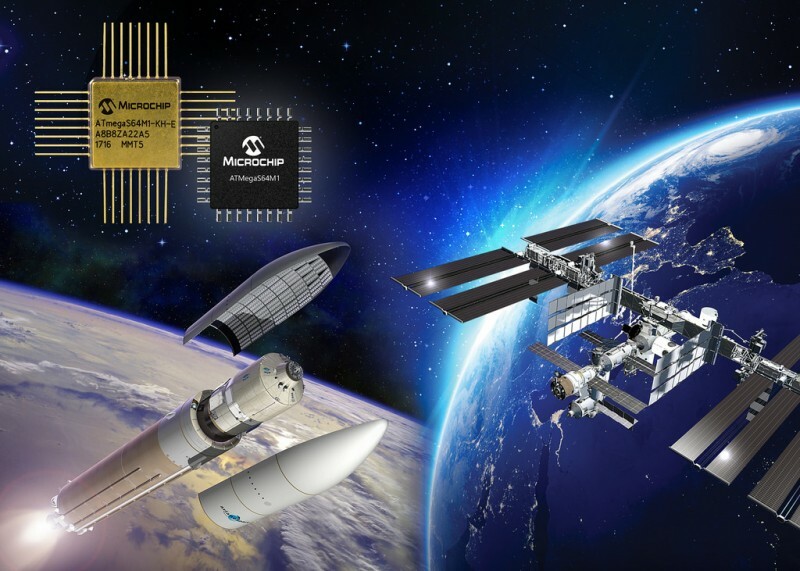 Developing radiation-hardened systems for space applications has a history of long lead times and high costs to achieve the highest level of reliability for multi-year missions in a harsh environment. Today, space and other critical aerospace applications require faster development and reduced costs. The ATmega64M1 COTS device, along with its full development toolchain including development kits and code configurator, can be used to begin development of hardware, firmware and software. When the final system is ready for the prototype phase or production, the COTS device can be replaced with a pin-out compatible, radiation-tolerant version in a 32-lead ceramic package (QFP32) with the same functionality as the original device. This leads to significant cost savings while also reducing development time and risk. The ATmegaS64M1 meets the high operating temperature range of -55°C to +125°C. It is the first COTS-to-radiation-tolerant MCU to combine a Controller Area Network (CAN) bus, Digital-to-Analog Converter (DAC) and motor control capabilities. These features make it ideal for a variety of subsystems like remote terminal controllers and data handling functions for satellites, constellations, launchers or critical avionic applications. To ease the design process and accelerate time to market, Microchip offers the STK 600 complete development board for the ATmegaS64M1, giving designers a quick start to develop code with advanced features for prototyping and testing new designs. The device is supported by Atmel Studio Integrated Development Environment (IDE) for developing, debugging and software libraries.